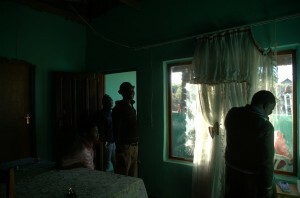 In 2012 a partnership began between the Mankosi community and the University of the Western Cape. 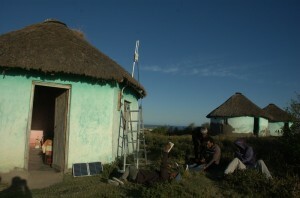 The aim was to create a model for the sustainable implementation of bottom-up village telcos in rural communities in South Africa. Currently, a proof of concept network has been deployed and is operational in the Mankosi Administrative Area, a rural traditional community within the Nyandeni Local Municipality in the Province of the Eastern Cape, one of the more disadvantaged areas of the country. The network intends to provide cheaper voice services for the community. So far, it is allowing calls to be made for free among the 12 points of presence existing in the community. In these points, analogue phones have been installed to allow those without mobile phone the opportunity to communicate as well. Additionally, it is providing the possibility to make calls to landline and mobile phones at a fraction of the cost than the pricing offered by the incumbent operators. Furthermore, by being based in Internet technology, the network could be easily used for providing Internet access to the community in the future. The village telco, which is operated and maintained locally, was initiated with the support of the University of the Western Cape which has provided the initial funding to acquire the hardware and the training for its installation. To date, the maintenance costs are covered by the revenue obtained by charging fellow community members for charging the battery of their mobile phones using the excess electricity generated by the solar panels installed to power the communications infrastructure. In order to regularize the service provision, a not-for-profit cooperative, Zenzeleni Networks LTD, has been set up. Its members have been given the mandate by the community to operate the network for the community’s benefit. This entails that all the revenue of the village telco will be reinvested on development projects decided locally. The board of members of the cooperative includes members from the local Tribal Authority, which has been also involved in previous steps of the initiative: from selecting the places to locate the nodes (provided that they complied with some technical constraints), to choosing the amount of money to charge for charging the phones and making the break-out calls. Off-the-self, low-cost, WiFi mesh technology which uses the 2.4GHz unlicensed band and eases operation by low skill technicians (Mesh Potatoes) has been chosen to create the network which also reduces further the operational expenses. Thus, the sources of income described (charging phones and pricing break out calls) are enough to sustain the business model. The bottom-up nature of this sustainable model is also showing progress of improved social cohesion and empowerment of community members.